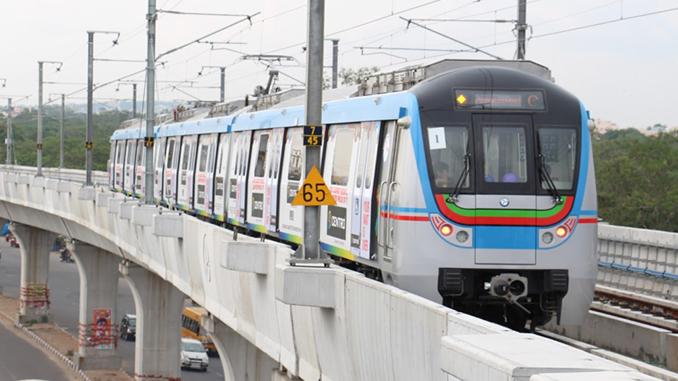 Having completed all mandatory clearances, the commercial operations of the Hyderabad Metro rail on the Ameerpet-Hitech City route will commence soon. The CMRS (Commissioner of Metro Rail Safety) accorded the mandatory approval for commencing commercial operations on the Ameerpet-Hitech City route a few days ago. The HMRL launched the trial runs route on November 29, 2018. Nearly 1.75 lakh passengers currently travel every day on the existing routes of Miyapur-LB Nagar and Nagole-Ameerpet, covering 46 kilometer. Once the Metro services commence on the Ameerpet-Hitech City route, officials expect the patronage to increase steadily and substantially. The launch of Metro services on the Hitech City route will provide much-needed additional transportation service for many employees working in the IT hubs of Madhapur, Gachibowli, Kondapur and neighbourhood areas.